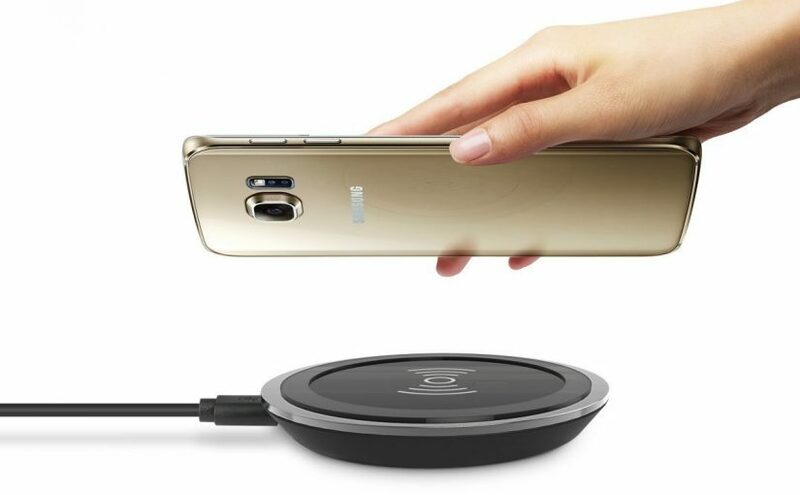 The Qi-Enabled Ultra-Slim Wireless Charger by 1byone is not a fast charger like the Samsung Fast Charge Qi Wireless Charger Pad or have a built in stand like the Samsung Fast Charge Qi Wireless Charger Stand, but is good economical wireless charger for as low price. It is a good charger to use on a night stand. Just place your phone face up on the pad and it will charge your phone while you sleep. You do not have to try to plug up your phone in the dark. 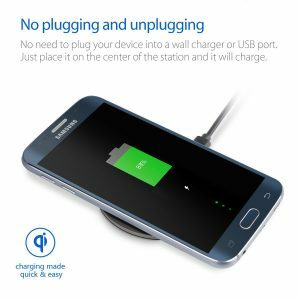 Plug it up and you phone will show that it is charging; the charging pad also has an indicator light to show that it is charging your phone. I tested this Qi wireless charger with my Verizon Samsung Galaxy S7 Edge phone and Moto 360 watch. One thing to remember is that the wireless charger cannot charge when metal materials exist between it and your phone. Also, you need to make sure you properly align your phone’s wireless charging area (should be the middle section of your phone) with the center of the wireless charger. When charging my watch, I had to raise the charging pad off the table a little so that the watch body made full contact with the pad; otherwise, the screen showed it was “charging” but the battery was draining since the screen was illuminated the whole time. In the box is the wireless charger pad and a micro USB cable. I was surprised that the charger did not come with a wall wart/power supply. However, you can use the power supply that came with your phone which should be at least a 2A charger. It would be nice to have a power supply included in the box so you can keep your original phone charger power supply with the original USB cable and use it while you travel. 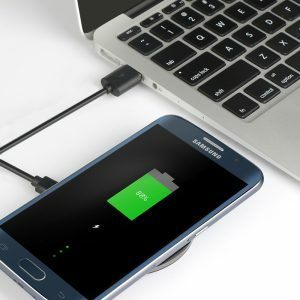 If you use a power supply that has less that 2A output or plug it into your laptop/PC/Mac, then you may have undesired results if the port does not supply the required power. 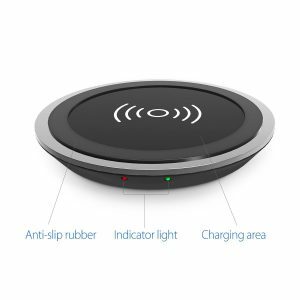 Buy the Qi-Enabled Ultra-Slim Wireless Charger on Amazon.com. Simplest Way to Charge Your Phone: Just place your phone face up on the pad and it will charge. And you don’t need to unplug a cable when you get a call. 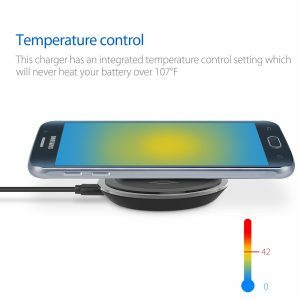 The Perfect Way to Charge Your Phone: This charger has an integrated temperature control setting which will never heat your battery over 107°F. It will also stop charging if the battery is fully charged. This helps prevent battery capacity loss over time! Compact and Sleek Design: This tiny black station will replace your messy cables. 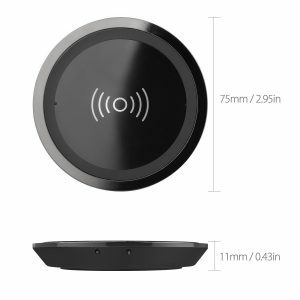 Any Qi-Enabled Devices or Device Equipped with a Qi Receiver such as Samsung S6 / Edge / Plus, Samsung S7 / Edge, Note 5, Nexus 4 / 5 / 6 / 7, Nokia Lumia 920, LG Optimus Vu2. iPhone 6 & 6 Plus will need a Qi wireless receiver case.